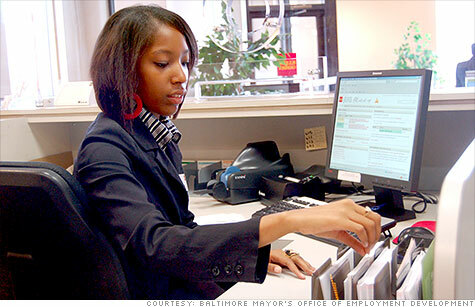 More than money: What to consider when getting your first job. So you’re looking for a job. You need cash to pay for movie tickets, iPhone apps, gas money and Jamba Juice with friends. As a Girl Scout, you’re no stranger to money management. Each fall and spring, you’ve put in the time, effort, energy and creativity to run your own business and earn proceeds for your troop, along with fun rewards. However, once you turn 16 (or 15 with a work permit) it’s time to get a “real job.” Don’t worry – you’re prepared for this! You have the skills (goal setting, decision making, money management, people skills and business ethics)! You are one smart cookie. Right now, you may be focused on getting just a job. A job you like, that fits your school schedule, and that pays well. What else could there be to consider? One thing we often forget is that a high school job can help you down a career path. Before you take just “any” job, think about what you may want to do in the future. What kind of job will help you get there? Remember a job is only what you make it. So choose a job in a field you’d like to study, then work hard and make connections. Arrive to work on time and try not to call in “sick” just because your friends want to hangout. Network with your colleagues and show your manager your talents. Then, when it’s time to start college, you’ll have the opportunity to get a letter of recommendation that could lift your academic career to the next level. Previous Previous post: Digging in the dirt? Female archaeologists and their legacy. Next Next post: 10 foods to help you grow healthier hair!